Any fears of a post-Brexit withdrawal by car giant Honda in Swindon were banished today with an upbeat unveiling of the newest generation Civic. The South Marston plant is Honda’s flagship production facility in Europe, employing 3,600 people, and plays a key role in Honda’s global manufacturing network. The company has invested a further £200m into the factory in preparation for production of the new model (the 10th generation), bringing Honda’s total investment in Swindon to more than £2.2 billion since 1989. "This was our plan regardless of Brexit, so no change." 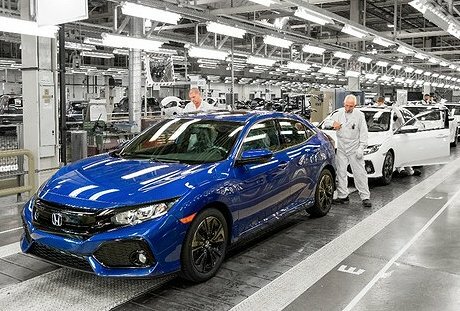 Honda of the UK Manufacturing (HUM) in Swindon is the global production hub for the new Civic hatchback with a yearly target of 160,000 to be made, mainly exported to more than 70 countries around the world, including North America and Canada. From Honda to Aston Martin? Swindon gets another mention in Private Eye - have your say..